AUSTRALIA will get the new Mazda2 sedan, making its return for the first time since 2010, following confirmation of its local release later this year. 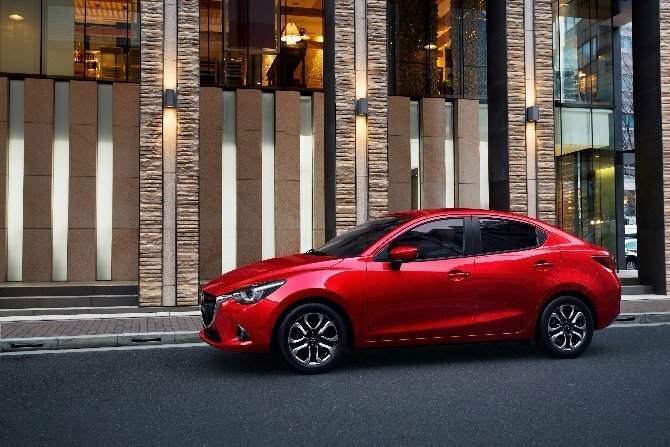 Like its hatchback sibling, the Mazda2 sedan will be available with two transmission types, the 6-speed SKYACTIV-Drive automatic and 6-speed SKYACTIV-MT manual, and with two 1.5 litre petrol engine choices. The standard SKYACTIV-G petrol engine delivers 79kW of power and 139Nm of torque, while the more powerful high-spec alternative puts out 81kW of power at 6,000rpm and maximum torque of 141Nm at 4,000rpm. It offers fuel economy figures from as little as 4.9L/100km and Smart City Brake Support will be available as an option across the range. The sedan joins All-New Mazda2 hatch which has sold 6,128 cars since arriving last November. With more than 4,000 sales in the first quarter of 2015, it is the nation’s most popular light car.